Published on March 13th 2015. ONE thing everyone accepts is that Lime Street needs regeneration. But in medical terms, regeneration means renewal of the existing body, not amputation, writes Merseyside Civic Society's Jonathan Brown. So Neptune’s nightmare on Lime Street is especially disappointing from the local firm that 15 years ago gave Liverpool one of its finest assets, the superb regeneration of Speke’s art-deco airport complex. That stands as a case study of how to mix old and new architecture to restore economic success, an approach all too lacking on Lime Street. As with Liverpool One, the Baltic Triangle and the Albert Dock, smart cities work with the best of what they’ve got, surgically restoring their essential structure, and grafting on new tissue. But the crude scheme submitted for Lime Street by Neptune, Broadway Malyan and their London, Manchester and Edinburgh-based backers, Sigma Capital PLC, has failed to impress even its main sponsor, the Mayor of Liverpool, Joe Anderson, who said the plan will need to be reviewed after noting the almost universally hostile public reaction to it. Published opinion on the design ranges from ‘depressing’ to ‘destructive’, with Liverpool John Moores University Reader in Architecture, Dr Rob MacDonald, summing up best: "They are walking all over the dead of Liverpool and stomping all over our memories." Lime Street’s east side of tall Georgian commercial premises, framed by two palatial Victorian pubs and crowned by the magnificent Edwardian Futurist, central Liverpool’s first cinema, is a gateway with an architectural character and social history any sophisticated city would die for. Such a fine frontage should be celebrated and restored, with bold new buildings linked behind and above, just as has happened so successfully in Paradise and Hanover Streets. The essential problem is not the buildings but their shabby condition, and the poorly managed traffic on the stop-start four lane race-track road outside – classic issues of ‘planning blight’. No short-term lease-holder will invest much while the freehold owner plans demolition. And the road is not currently engineered as a street for people to go to, but as a highway for vehicles to pass through – Castle Street shows how this can easily be fixed by better balancing traffic speeds with pedestrian comfort. The excuse that Lime Street needs demolition because it is scruffy is back to front. In fact of course, Lime Street is only scruffy precisely because it is slated for demolition – it’s an otherwise perfect location in terms of access, profile and passing trade. Who is responsible for this blight and slow decline? Ultimately, I’m afraid, it is the owners of these buildings and the street – and that means you and me. The freehold of Lime Street is held by Liverpool City Council on our behalf. If we are content to see them pass control over to people with no feeling for the spirit and soul of our city, then that’s our loss. If, on the other hand you expect our assets to be better cared for by those we pay to look after them, then speak out. The Futurist has become the symbol of whether Liverpool’s wider regeneration is driven by the public or by profiteers. Mayor Anderson told campaigners that if it could be saved, it would be. Cllr Nick Small and the surveyors all agree at least the façade can be retained – it’s a question of cost. If we accept their sums to maintain the front - £2m in a £35m scheme seems a modest price to pay to ensure that Liverpool’s future, as well as its past, is controlled by its people. Should the building or the façade of the Futurist be saved? "It would be great if we could save it. I have been working with the campaigners for about two years around this. "We could have saved the façade, the inside is probably too far gone to save and probably most people accept that. So everyone is looking around the façade, but unfortunately although it is technically feasible to do I, I don’t think it stacks up financially. "There are two aspects to this, I firstly it isn’t actually a listed building. We have got a scheme for Lime Street which is a good scheme and stacks up financially. If you change aspects of that that scheme and looked at the façade it would probably add around £2m to the scheme which would mean the scheme as a whole didn’t stack up and you would then have to look at public funding. “The city has a heritage fund which could be put into buildings like that but I think there are other priorities, like the Wellington Rooms (The Irish Centre in Mount Pleasant) that I would sooner fund rather than the Futurist. For all of these reasons I don’t think it is possible to save the façade. Nick Small"What we are looking at doing is to incorporate parts of the original building and incorporating parts of that within the design on Lime Street. What people are saying to me is we need to get it redeveloped. "It is one of the first things people see when they come into Liverpool Lime Street, it is a gateway into and out of the city. 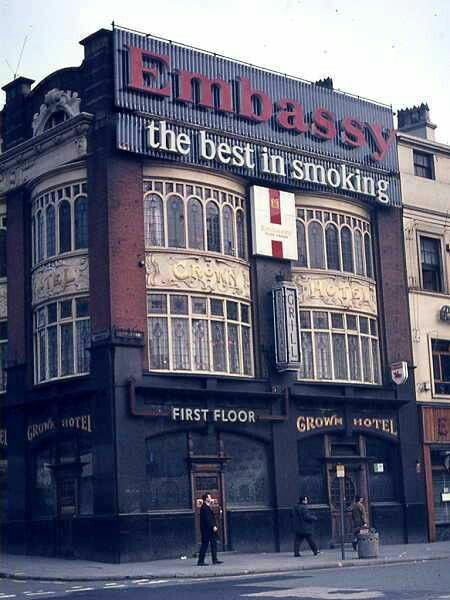 People have rightly taken it to their hearts, but people are saying to me we need to get this brought back into use and up our game in Lime Street. "When people see this in the context of what we are going to do with the ABC Cinema and what is going to happen in Mount Pleasant (where the council multi-storey is earmarked for demolition), it will have a wow factor and be something appropriate for the city. "This is a jigsaw. If we were put Lime Street to one side and wait for a few years, it could potentially put at risk the Mount Pleasant and Copperas Hill schemes. "If we were to look at the big picture and look back at this in five or 10 years time I am confident people would say the council did the right thing. I’m sad we can’t save the Futurist. The next best option is to do what we propose in Lime Street and incorporate parts of the Futurist and cinema history." I'll be polite and call Nick Small "disingenuous" - I can think of pithier words though, as I'm sure can most people reading his comments. To paraphrase: 1) I've done bugger all for two years. 2) I accept property developers' figures without question. 3) I have no imagination. 4) O, bugger, I'd forgotten about the Irish Centre. The crown is 1905 and The Vines 1907, making them Edwardian too. Incorporating some small fraction of the futurist is very tacky. Change the change the colour scheme, take some more Georgia and Art Deco, Modernist hints, simple elegance, from the rest of the street and put the façade in storage. 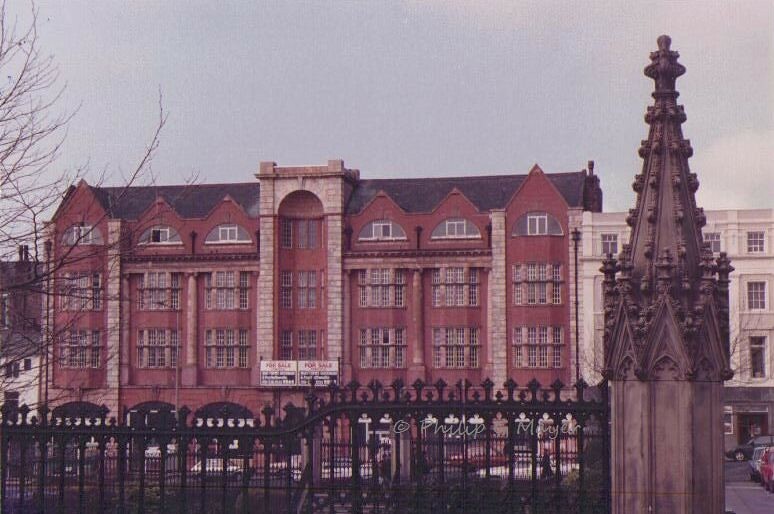 Several buildings in Liverpool have been relocated, most notably the blind school, there are several places along Renshaw Street and Leece street, where the façade would fit nicely, most notably the old Employment exchange. Oh and Nick where are the bins for Mrytle Street? The old employment exchange was supposed to be one of those buildings where we were promised the façade would be saved. Then of course we found one day a patch of wasteland with the whole lot obliterated. Worse, the Employment Services Building in Leece Street was knocked down for no good reason. Twenty-odd years later and it is still a hole in the ground with scruffy hoarding around it. Is Bradley talking about the Renshaw Hall Unemployment Benefit Office? Labour Exchange c1.staticflickr.com/…/310662045_b059f73faa_b.jpg… the one that was in Gumshoe. I remeber the fuss about renewing the big screen on St Johns. Part of the glamour could be recaptured by lighting on St Johns, painted shed have a long history in architecture. Youre over fed on corporate lunches and dinners and you spout rubbish...not really known for your aesthetics are you...youre not sad nick...and people are angry with the council...we dont want the heart and soul of Liverpool replaced with big red brick student accomodation...the sooner you lot are out the better! Of course Small Nick (how his name appears on his leaflets) wants money spent on the old Irish Centre. His election leaflets just go on about how he went to St Edward's RC and fat Sharon is from Scotland Road, just to get the Irish vote out from the Marybone estate. Out of an electorate of over 12,500 in his ward, just 7% voted for him. He lives in Aigburth and yet seems to think he's an expert on town. With any luck the Electoral Commission will spot that his 9% turnout is the lowest in Europe, trial online voting in his ward and he'll be knocked out. pull your fingers out!March 13th 2015. Lime Street is a “four-lane racetrack”? No it’s not – it’s a three-lane crawling chaos. The traffic crawls because so many motorists are in the wrong lane, probably because of poor signage and the terrible road system imposed a few years ago. It doesn’t help that many motorists are visitors to Liverpool staying at the Holiday Inn who are trying to find the entrance to the car park. Also the roads are filled with confused, wandering pedestrians trying to cross who are understandably bewildered by the ridiculously difficult-to-see crossing signals that were put in when the traffic system was imposed on the vehicles. It now takes far longer and it is more dangerous to cross Lime Street and Renshaw Street than it was ten years ago. In the evenings Lime Street is a stagnant traffic jam where you can spend ten minutes or more stationary, watching the meter of your taxi climb to unexpectedly expensive heights. The traffic system is poorly-planned sending buses around too-tight turns up unsuitable narrow streets and because all the alternative routes through the centre have been closed it is congested. Today a friend of mine getting the 82 bus to St. Luke’s Church ended up at the Liverpool One ‘bus station’ with a long walk in pouring rain because narrow Hanover Street was closed! Re-open old routes and make the place better for cyclists! Castle Street is awful. Bad for cyclists and the only benefit of the widened pavement is that it gives the sort of people that the Echo calls 'businessmen' brawling outside the San Carlo more elbow-room. Why are Neptune the developers of choice for Liverpool City Council? This Lme Street development is worse than the 3 Black glass buildings on Mann Island. It really is back to the drawing board with NO involvement from Neptune and Nick Small. "This is a jigsaw. If we were put Lime Street to one side and wait for a few years, it could potentially put at risk the Mount Pleasant and Copperas Hill schemes." - What 'Mount Pleasant and Copperas Hill schemes'? How is demolishing the only remaining affordable multi-storey car park in central Liverpool an improvement? It is full most days and has 1,300 spaces - where are these people supposed to go? Into the grasping claws of 'Q-Park'? And ALL the parking fees go to the Council. Demolition would cause the closure for months of major roads with no reasonable diversions available. But will our elected 'servants' listen to the people who put them in office? In the 1990s the people of Liverpool we re spectacularly sacked, because they stopped listening. Don't you feel we are on that same route again. Trouble is we are stuck with Labour for at least a decade. What a scary thought. Thing is they were elected by the people of Liverpool not a small vocal group. So they might not do what you want but still actually do whet the majority want.